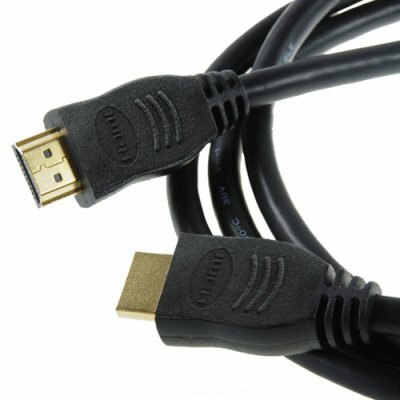 Successfully Added 10pcs+ HDMI Cable - 6FT Long (182CM) to your Shopping Cart. 10pcs+ HDMI Cable - 6FT Long (182CM). HDMI cable for today's high definition electronics. Extended length 6' cable (approx 182cm) to allow you to setup your home theater without being constrained by the short 3' length you find with most generic HDMI cables. Enjoy high-res digital video and true digital audio with a cable that allows you to place your electronics where they are most convenient for you. We are offering this item at a quantity of at least 10 pieces in order to give you the absolute best re-sale profit margin from our low wholesale price and even better shipping rates. Each cable comes in its own individual PE packaging for easy resale. Brought to you by the leader in direct from China Electronics, Chinavasion. High-bandwidth 6 foot long HDMI cables. Sold in wholesale bulk quantities of 10 or more for easy resale. Main Function: High definition signal transfer cable for DVD, HDTV, HD projectors, etc. These high-bandwidth cables are factory tested to perform at industry standards and are backed by a 12-month warranty.